There's a new body moisturiser in the market that's made from natural coconut, called Coco Milk by We Are Feel Good Inc. To keep our bodies and skin feeling nourished and smooth, an important skincare regime is to regularly moisturise with a trusty product. 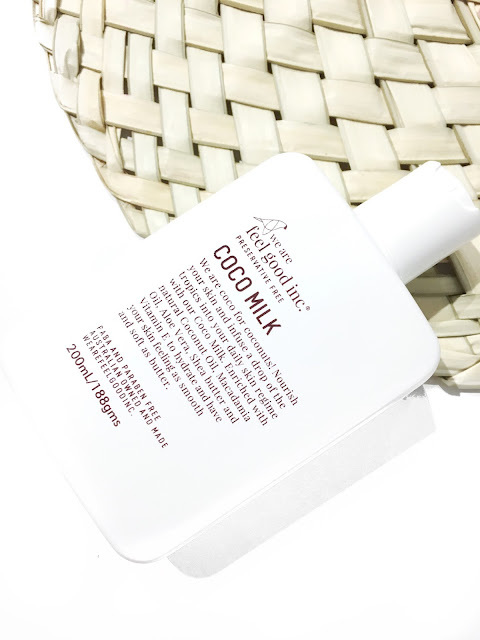 I recently tried out the Coco Milk by We Are Feel Good Inc and let me just say....it's absolutely amazing as it's non-greasy, leaves my skin feeling smooth and hydrated all day long. Also, it's made without any nasties such as parabens, etc. which is great to know. This milk product is infused with natural oils and vitamins which help to hydrate and moisturise the skin. You can choose to use this product for an all round use, and with winter being just around the corner, it's just the perfect excuse to moisturise! Coco Milk by We Are Feel Good Inc RRP $24.95, 200ml. For more information, head over to https://www.wearefeelgoodinc.com.au/ to learn more.